Miriam Gohara is Clinical Associate Professor of Law at Yale Law School. Professor Gohara teaches and writes about capital and non-capital sentencing, incarceration, and the historical and social forces implicated in culpability and punishment. 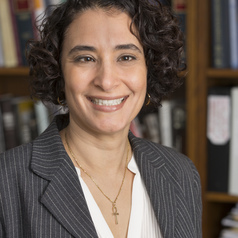 Before joining the Yale Law School faculty, Professor Gohara spent sixteen years representing death-sentenced clients in post-conviction litigation, first as assistant counsel at the NAACP Legal Defense Fund (LDF) and then as a specially designated federal public defender Professor Gohara has litigated cases in state and federal courts around the United States, including the United States Supreme Court.